The best is yet to be Gina... I'll hope to find you in the future when you have Grands to blog about....Take care and enjoy your wonderful family! Hi Gina .I might not of come over to your blog every post but when I did your posts were always enjoyable. Thank you for sharing your life in Oz for the last ten years. 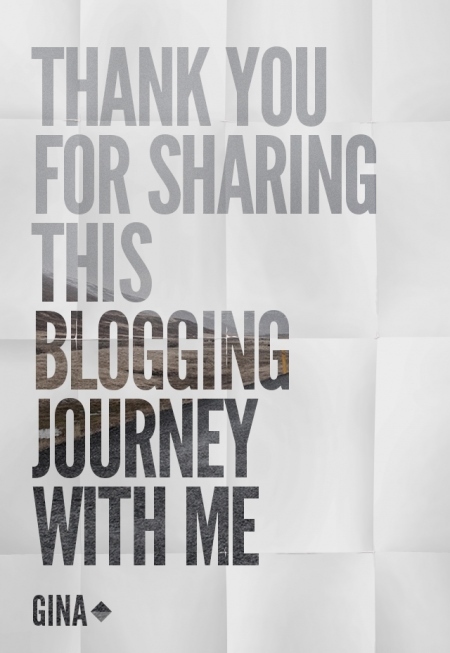 I have been blogging for 8 years might be 9 now. Incredible isn't it. I know your blog will be missed. Take care Anne. I didn't realise that we arrived in Australia just about the same time. We were only planning to be here a year though.... but that's another story! I'm (selfishly) sad that you are stopping writing in your blog but I do know how hard it is to keep up with life events. Maybe you could just do an annual post? I know how much I sometimes enjoy just browsing back through mine and reminiscing. Nooooo!😢😢😢. Good job I've got your number. Lots of love. Your talent and wit bs updates will be missed. So sorry to hear this Gina. I have followed your blog nearly every week on Friday at 5 o'clock whilst still at work to see what you have all been up to. I am so glad that everything has worked out and your life is settled and happy. Adam and Sian are 1 day apart in age and they are going through the same stages together only Sian is making a better job of it. Adam is 6ft 5 and still growing but I understand how hard it is to let them grow and become the adults that they are desperately trying to be. Overstone remains the same as it always was except we are having 2000 new houses being added to it over the next few years so we will no longer be a village. Alan has retired and I am still lecturing. I am thinking of moving to India to teach and have a new adventure for a while. You started a trend. Good luck and best wishes and drop by occasionally so we can see what you are up to. I will keep sneaking a cheeky look just in case!! !